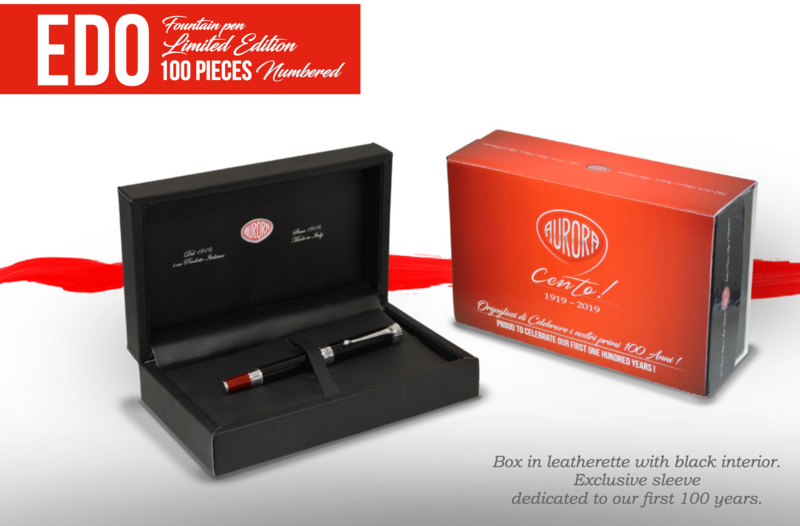 The latest in a series of special limited editions being released throughout Aurora's centennial year to highlight the company's history, the Edo LE is being produced in just 100 numbered pieces worldwide. We have secured just a very small number for our customers. Our complimentary nib tuning ensures that your Aurora pen will have writing qualities equal to its appearance, and Aurora 14k solid gold nibs provide an excellent starting point for many of our exclusive nib customizations, including the modifications for Flex and Architects Point. Free nib set-up and optimization included. 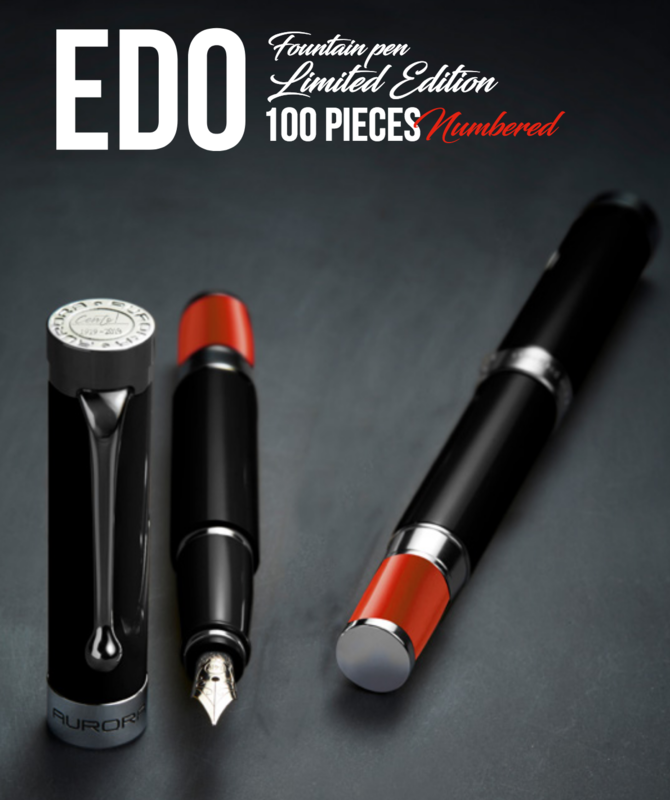 Part of Aurora's Cento series celebrating the company's 100th anniversary, the Edo LE is a study in sleek black resin and shiny chrome trim, its stylish appearance accented by the glossy red barrel end. 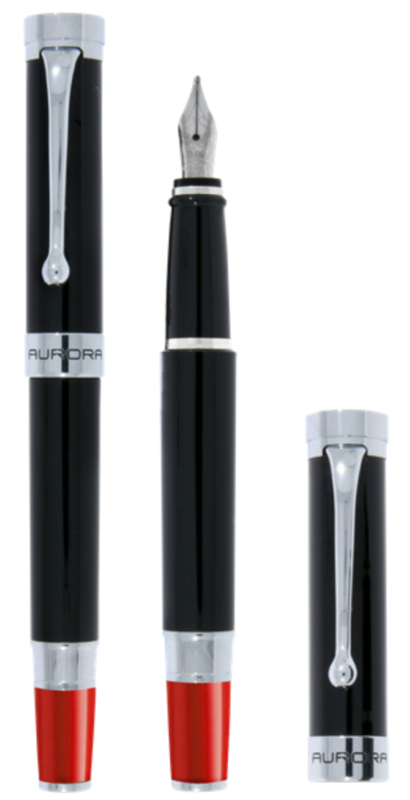 The flat top Edo is a cartridge-converter pen - it can use any bottled fountain pen ink when fitted with the provided converter, and can also use high capacity Aurora and Parker brand ink cartridges, which can give it an ink capacity rivaling that of many piston-fill pens. We are an authorized Aurora dealer.